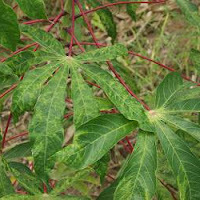 KIBAALE territory has distributed disease-resistant cassava cuttings to over 5,000 farmers. The output policeman, Peter Sentayi, said the cuttings, valuable sh30m, were supplied to all sub-counties. He added that the cassava was impervious to drought. Sentayi added that the plan was in cable with President Yoweri Museveni's directive to districts to avail improved farming materials to encourage nutrient protection in the nation. In a December 6, 2006 letter, the President ordered all principal administrative officers to avail improved planting materials to farmers through the Local Government Development Programme and the Plan for Modernisation of Agriculture. Sentayi said Kibaale territory council approved over sh70m for the purchase of both harvest and creature husbandry materials. The items will be supplied to farmers before the conclusion of the 2007/08 financial year.